Electrical safety is serious business. There’s no doubt about that. Corporate training is always about helping you get the job done. 3. Livewire Challenge. If ever there is an earthquake or other disaster at work and electrical wires are dangling and sparking, don’t feel you need to touch them. They may be pretty like a holiday sparkler, but they come with a deadly bite. Leave them alone. If the floor is wet and you need to move such a wire, use something dry and insulated to move it, like a broom handle. 4. Obstacle Course. So, you don’t have an electrical outlet next to your desk? Simple! Just string an extension cord across the aisle from your neighbor’s outlet. Wrong! The last thing you want to see is your boss lurching forward after tripping on your little obstacle. When he gets out of the hospital, you might not have too many obstacles between you and the exit. Another reason naked extensions don’t go well under foot has to do with fraying wire and fire hazards. 5. Einstein Award. It doesn’t take a genius to know that fuses are there for our protection. 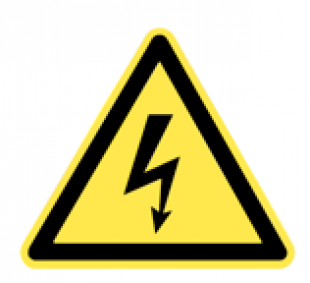 If you’re at work and the fuse keeps going out, don’t pretend to be an Einstein by popping in a fuse with a higher rating. Let me spell it out for you. If it says “10 amps” and you replace it with one that says “20 amps,” you’re asking for the Einstein Award for being the genius who got the building burned down.